Two of the newspaper cuttings from Sue and Diana Windsor’s donation. 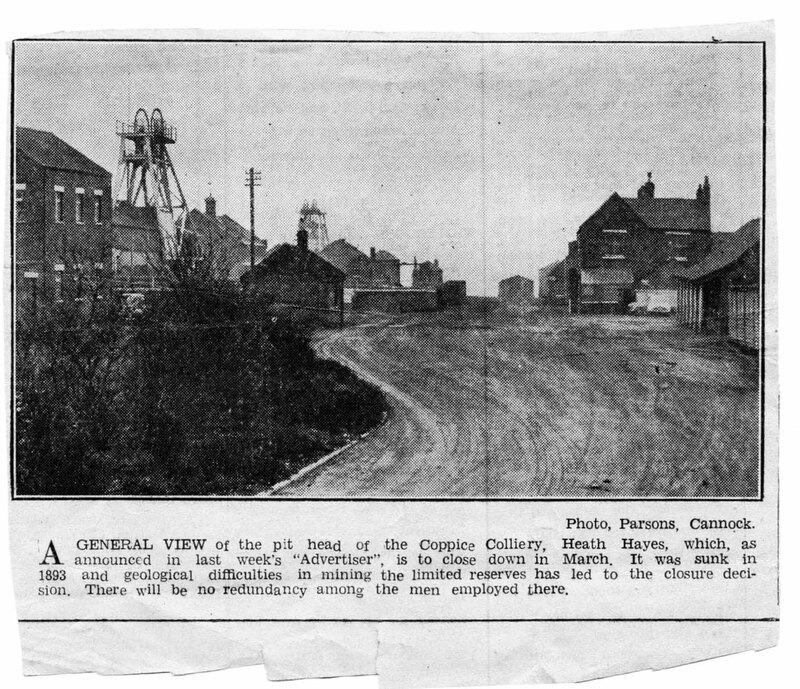 An unusual view of the Coppice Colliery (Fair Lady) at Heath Hayes. Certainly one that I hadn’t seen before. The Transport Scene at Chasewater in the early days. This photo shows Neilson loco ‘Alfred Paget’ and Hawthorn Leslie ‘Asbestos’ with The MSL coach. 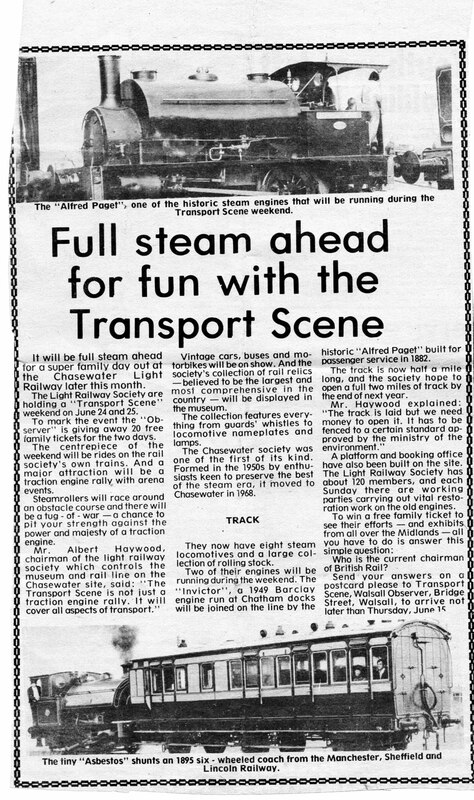 This entry was posted in News and tagged Alfred Paget, Asbestos, Brownhills, Chasewater Railway, Chasewater Railway Museum, Coppice Colliery, Fair Lady, Heath Hayes, MSL coach, Newspaper Cuttings. Bookmark the permalink.